This problem may be covered under warranty. Ask your Ram dealer. STAY AWAY FROM THE RAM 1500 WITH THE ETORQUE. The truck is beautiful but the eTorque is an issue for RAM. On 08/21/2018 I traded my 62 month old 2013 Tundra (not a single issue) for the Laramie Sport with eTorque. On 12/20/2018 the problems started. Long story short the truck was towed to the dealer because it needs a new MGU (motor generator unit). 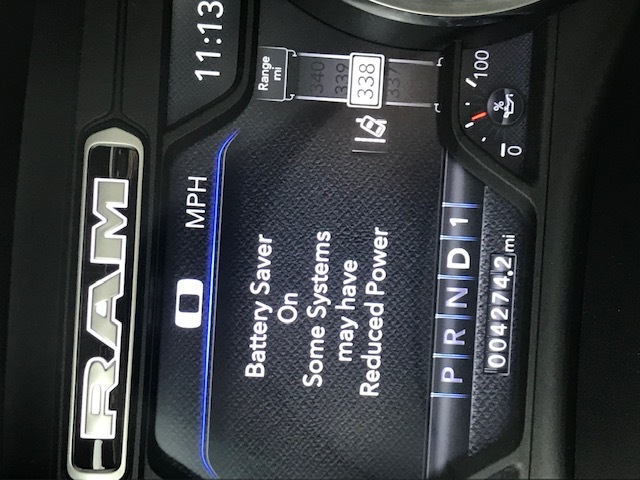 From the research I've done I know of 3 more RAM owners that have had issues with either the 48v lithium battery, MGU or both before getting to 750 miles and have had to wait weeks to get their truck back. I consider myself lucky as I got my truck back last night after 18 days. 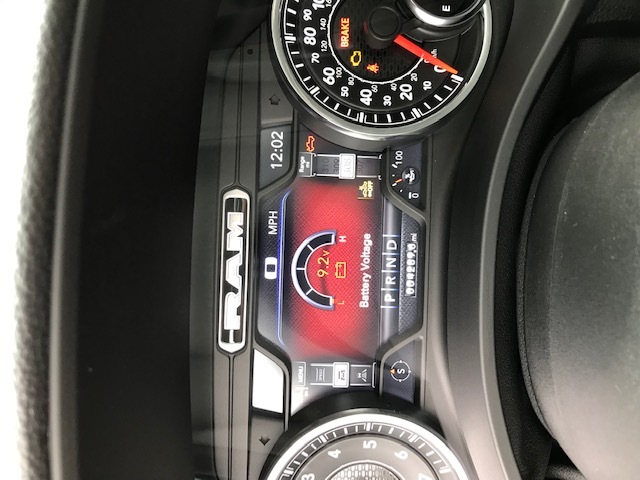 Calling the RAM Customer Care on 12/27/2018 and getting a case number expedited the process as they found the MGU at a dealer in California and shipped it to my dealer. My dealer also provide a loaner during this time and RAM may be reinbursing me for the 18 days. Now that I have my truck back I'm hoping that I'll only see the dealer for regular services. Thank you. 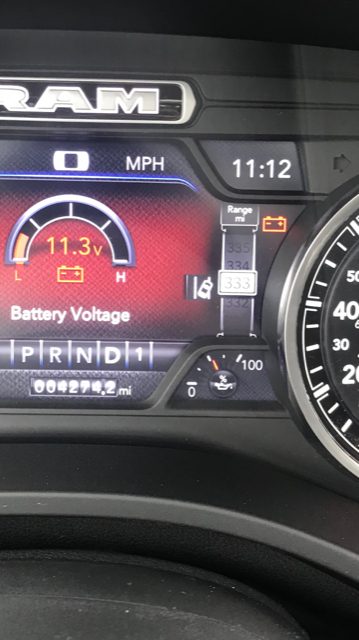 Update from Apr 8, 2019: Since the MGU was replaced I haven't had anymore issues with the ETORQUE and RAM reimbursed me one monthly payment for my troubles. Very happy!! Thank you.